Conventional wisdom is experiencing a sense of déja vu. Conventional wisdom has it that the exit of TDP led by N Chandrababu Naidu is eerily like 2004. 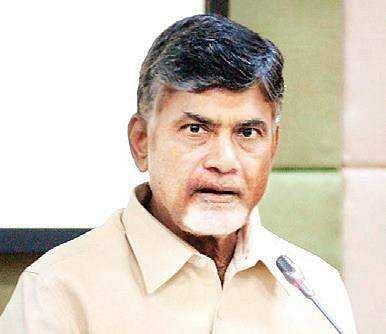 Conventional wisdom has it that the exit of TDP led by N Chandrababu Naidu is eerily like 2004. Conventional wisdom has it that the series of losses in the Hindi heartland (diagnosed as the AAA verdict—agriculture, arithmetic, arrogance in some quarters) renders it vulnerable. Conventional wisdom has it that the bua-bhatija gambit of SP and BSP presents a formidable electoral arithmetic. Conventional wisdom has it that the Nitish Kumar-led regime in Bihar is headed downhill. Conventional wisdom has it that the BJP has a tough fight on hand in Karnataka—primarily because the anti-corruption card is dented by the choice of B S Yeddyurappa as CM nominee—and it may not retain power in Rajasthan, Madhya Pradesh and Chhattisgarh. Conventional wisdom has prompted its ally Shiv Sena to predict the 2019 tally for BJP could dip by 100 seats. Conventional wisdom has it that the BJP will find it hard to repeat the 2014 performance. It is arguable that all of the notions and views may come to be. The loss of allies does impact the overall tally—remember, in 2004, the BJP had won 138 seats, just seven fewer than the Congress, but had fewer allies. The loss of an ally in Andhra Pradesh, possible loss of a partner in Maharashtra, absence of alliances as yet in Tamil Nadu and Telangana, a weak alliance in Bihar, with the LJP cautioning the BJP, could theoretically affect the overall tally. It could also be argued that part or all of the wisdom could fall by the wayside—unlike in 2004, when the BJP was in power in barely a handful of states, in 2018 it is in power in 20-plus states. Also, the regimes in West Bengal, Tamil Nadu, Odisha, Andhra Pradesh, Telangana, states where the BJP hopes to increase its tally to make up for losses elsewhere, will face local incumbency. By its very construction, conventional wisdom is essentially alignment of views to exposure and experience, and therefore vulnerable to the logical fallacy of post hoc, ergo propter hoc—Latin for after this, therefore because of this. What matters really for what will happen in 2019 will be determined by what transpires in the ensuing weeks and months. The enemy of conventional wisdom, John Kenneth Galbraith said memorably, is the march of events. And there are events galore in the coming months. At the obvious level are the Assembly polls—in Karnataka, Rajasthan, Madhya Pradesh and Chattisgarh. The rise of the BJP since 2014, dubbed the 6-to-21 phenomenon by Prakash Javadekar, is remarkable. It secured power where it has never been in power and where it has been out of power for over a decade. Karnataka has a tradition of changing regimes every poll, so the BJP has an advantage. The BJP, though, has struggled to retain power in recent polls and Rajasthan, MP and Chhattisgarh, with three-term incumbencies, will test the 6-to-21 phenomenon. Critically, the voting in these elections will be far from politics as usual. The voting will be influenced by two major events, one political and the other at the intersection of politics and economics—the Supreme Court verdict on the Ayodhya case and the monsoon. These two factors, singly and together in interplay, will have a major impact on the forthcoming elections. The consensus view in select legal circles is that the Ayodhya judgment could come through in the next few months. Whichever way it goes, it is bound to impact politics and electoral arithmetic. It could be argued that the overall impact would be even-steven. The posit, though, must contend with the electoral effect of the singular question aired in the Gujarat polls. The impact of the verdict will depend on how parties respond to the verdict and how the caste collaborations take place thereafter. The monsoon comes pregnant with possibilities of hydrological and political precipitation. It is early days as yet and the El Nino watchers have their fingers crossed. A recent report suggests the favourable La Nina is weakening into neutral weather to be followed by El Nino in the second half of the year. A poor or weaker monsoon is not good news. The abiding theme of the past two years and more has been agrarian distress—and it would be safe to say it will dominate all else. The magnitude of distress and how it is managed will dominate politics and determine voting intent. There is an attendant phenomenon at play—the angst and anger of the middle class, which intriguingly found transference as sympathy, witnessed enroute the Kisan Long March across Maharashtra. The big ‘what if’ is the probability of changing equations that could alter electoral arithmetic and therefore the essence of the chemistry BJP relies on. The Mandal vote has been vital to every election between 1989 and 2014 —accounting for around 70 seats. Even in the 2014 wipe out, the SP, BSP and RJD had between them polled over 4.83 crore votes. Conventional wisdom has it that the Congress is marginalised. The Congress, in direct contest with the BJP in over 140 Lok Sabha seats, has its task cut out—it must retain Karnataka and challenge the BJP’s clarion call for a Congress-mukt Bharat. To do so it must first present an alternative to the Modi Model. The BJP too has its task cut out. In 2014, its campaign said everything the people wanted to hear. In 2019, it must prove that it did what it said it would do.Conventional wisdom had it, pre-Uttar Pradesh victory, that 2019 was a one-horse race. Conventional wisdom now has it that the race is open. The ides of March arrived in sync with events triggering a parade of prophecies. Prophecies, though, must come with and be read with the caveat: terms and conditions apply.